Unique game play – Soulcaster 2 borrows many of its ideas and puts them together into one game. The result is something unique that actually plays well. Purists of any particular genre might find fault with it but the game stands for itself. If nothing else, it is one of the few indie games meant to played and not just bought. Quick play sessions – The ability to pick this game up, immediately play, and then put it down a few minutes later is a big plus. 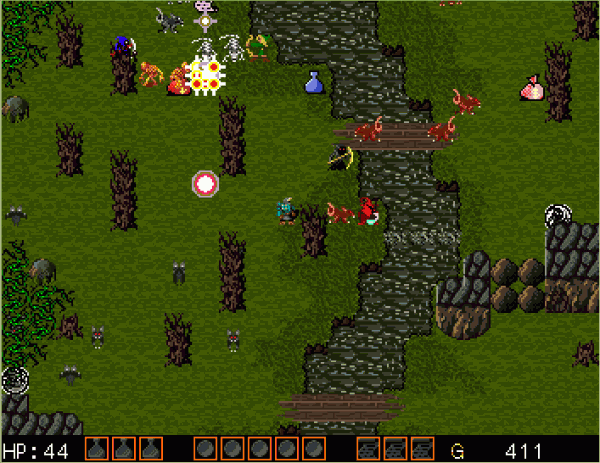 Despite being an rpg at its core, Soulcaster 2 can be enjoyed in bite size chunks. This is perfect for the busy or on the go gamer. Great nostalgia factor- There is no denying that there is a great deal of nostalgia and fan service in this game. We recognized references from Dragon Quest and Final Fantasy just to name a few. While the younger crowd might not understand, it is a nice addition nonetheless. Occasional difficulty spikes – Soulcaster 2 plays like a dream most of the time. But sometimes that play can be truly brutal. Many levels have only one clear path to victory and a mistake early on can be impossible to recover from. Trial and error and a lot of restarts are in order here. The challenge is welcome, but some levels feel relatively easy and then some feel almost impossible. No control options – It is a small gripe, but we wish we could configure which buttons go with which souls. The controls are solid but it seems an oversight not to offer a simple control configuration. No score/rank for each level – Most levels appear to have a set “best way” to complete it. But occasionally we made a real mess of the level and still managed to finish it. Having a scoring system to rate us at the end of the level would have been great. Scores based on time, damage taken, and loot gained seem very possible. Attempting to get an “S” rank on each of the stages would have added replay value. An end of level score debriefing would have also done wonders to pace the game a bit better. 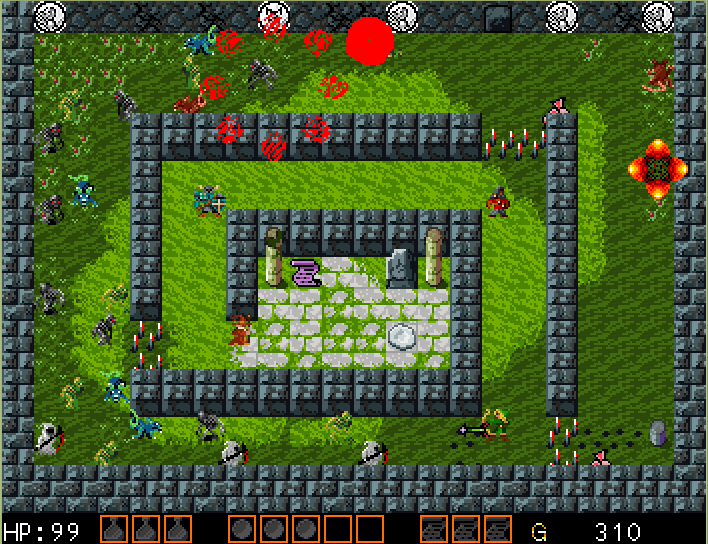 As it is, the player barely survives one level and then wanders into the next with no respite in between. 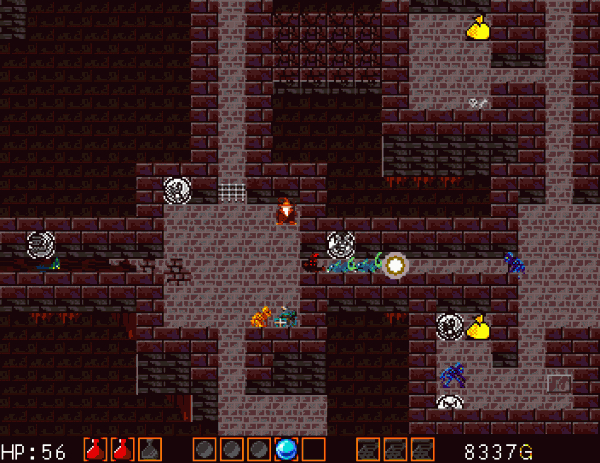 Soulcaster 2 is a game filled with great ideas and is executed very well. It has a level of polish in both graphics and game play that is rare in an indie game. Any fan of rpg’s and tower defense should try this game. 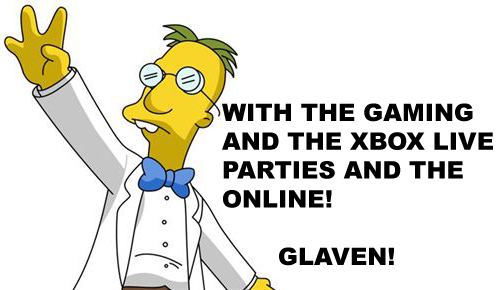 Unfortunately non-fans of the genre may wonder what the fuss is about. Regardless, this unique game is worth a look.